Reminiscent of adult thrillers that dominated the 1990s, Joel Edgerton’s The Gift is a slick and fiendishly enjoyable movie that unravels methodically and is comfortable dealing with moral ambiguity. Simon (Jason Bateman) and Robyn (Rebecca Hall) are transitioning to a new city and a new job when they meet an old high school acquaintance, Gordon (Edgerton). It seems at first like “Gordo” is going to be a scary stalker with boundary issues, but Edgerton, who also wrote and directed, keeps pushing his familiar narrative further, adding different shades to the trio of characters and allowing them to be flawed humans revealing their secrets. It’s a movie that’s not afraid to go dark and dwell in the unknown, especially with a note-perfect morally murky ending that leaves the viewer in the same wonderfully cruel sense of uncertainty and gnawing curiosity. Bateman pays against type as a rather strident character who definitely has issues with sticking to the full truth. Hall is more than a damsel in distress. She’s overcoming serious problems that she may or may not bear some culpability for, which makes her performance that much more interesting. Edgerton doesn’t overplay any off-kilter tics; his Gordo is a bit off, and always comes across like he’s holding back saying more, but his impression is a lot more wounded animal than psychopath. The screenplay is a model of efficiency and the secrets and reveals are evenly doled out. 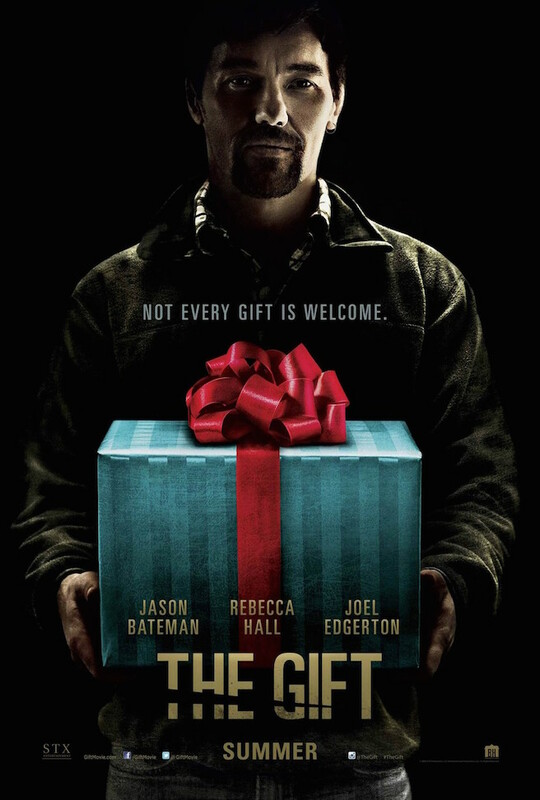 The Gift is an entertaining thriller with dark turns, deliberate pacing and structure, morally grey characters, comfort in ambiguity, and a healthy respect for its mature audience. Posted on September 24, 2015, in 2015 Movies and tagged drama, indie, jason bateman, joel edgerton, rebecca hall, thriller. Bookmark the permalink. Leave a comment.